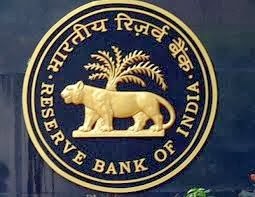 1) RBI hiked repo rate by 25 Basis Points to 7.75 % from 7.50%: in the October 29 monetary policy review.RBI has also cut the marginal standing facility (MSF) rate by 25 bps to 8.75 per cent. The MSF is an emergency window that banks borrow from when faced with a funds crunch. The RBI has kept cash reserve ratio (CRR) unchanged at 4.0 per cent of deposits and increased the liquidity provided through term repos of 7-day and 14-day tenor from 0.25 per cent of deposits of the banking system to 0.5 per cent with immediate effect. 2) India has developed a new tactical surface-to-surface missile 'Pragati' with a range between 60-170 km. 3) Government of India on 29 October 2013 decided to appoint Air Marshal Arup Raha as the next Chief of the Air Staff. He will take the charge after the retirement of present Chief of the Air Staff NAK Browne on 31 December 2013. Air Marshal Arup Raha is presently the Vice Chief of Air Staff. 4) With a networth of $21 billion, Mukesh Ambani has retained his title as India’s wealthiest for the sixth year in a row. 5) Priyanka Chopra, the Bollywood actress became the global brand ambassador of American fashion brand Guess in the last week of October 2013. She will endorse the brand from 2014. 6) Rajendra Yadav, the noted Hindi writer passed away on 28 October 2013 at Mayur Vihar, Delhi because of prolonged illness. 7) India retains number one spot in latest ICC ODI ranking, Australia at second. India’s Ravindra Jadeja is at No. 1 spot in ODI bowlers. 1) Supreme Court directed the Sahara Group to hand over title deeds of property worth Rs. 20,000 crore to market regulator Securities and Exchange Board of India (SEBI) within three weeks. 2) International Animation Day, proclaimed in 2002 by ASIFA as the main global event to celebrate art of animation. 3) 146th birth Anniversary of social worker, author, teacher, Sister Nivedita. 4) Megastar Amitabh Bachchan received the third Hridaynath Mangeshkar award for his contribution to the film industry. 5) Former Miss Universe Sushmita Sen has been awarded the Mother Teresa International Award by NGO “The Harmony Foundation” for her efforts towards achieving social justice. 6) P.S. Raghvan was appointed as the next Ambassador of India to Russia on 28 October 2013. At present, Raghvan, the IFS of 1979 batch is serving as the current Secretary in the Ministry of External Affairs (MEA). He will succeed Ajai Malhotra, who will retire on 30 November 2013. 1) 5 killed and over 70 injured in seven crude bomb serial explosions ahead of Narendra Modi's rally in Patna. 2) Floods triggered by incessant rains for nearly a week left at least 45 persons dead in Andhra Pradesh and Odisha. 3) Sebastian Vettel wins 3rd Indian Grand Prix, becomes youngest to win four straight world drivers' championships. With this victory, Vettel became the quadruple champion and joined the group of legends like Michael Schumacher, Juan Manuel Fangio and Alain Prost. He is only the third to do it in a row after Juan Manuel Fangio and Michael Schumacher. 4) Serena Williams beats Li Na for WTA title. Serena Williams ended her best season in suitable style, coming from behind to beat Li Na 2-6, 6-3, 6-0 on Sunday for her second straight WTA Championships title. Williams' titles this year included the French and U.S. Opens for a total of 17 Grand Slam crowns. 5) Vijay Soni, a noted painter and theatre personality died on 27 October 2013 in New Delhi. 6) GAIL India and Paradip Port Trust on 26 October 2013 signed a Memorandum of Understanding for setting up an offshore Liquefied Natural Gas (LNG) terminal at Paradip Port, Odisha.